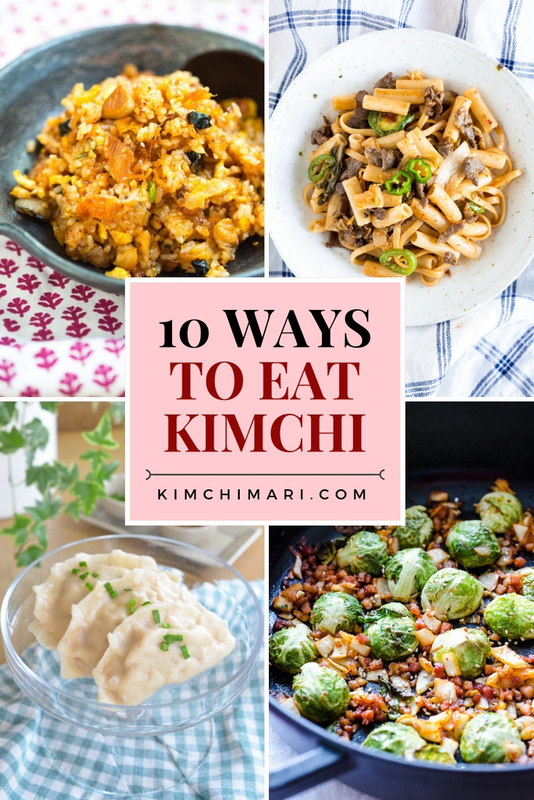 10 Delicious ways to eat Kimchi using my top 10 recipes using Kimchi. From stews and stir-fries to pancakes and dumplings, these recipes with Kimchi prove just how versatile kimchi is and how kimchi makes everything taste soo good!! Kimchi lovers, I’m sharing with you 10 ways to eat kimchi other than as a side dish. 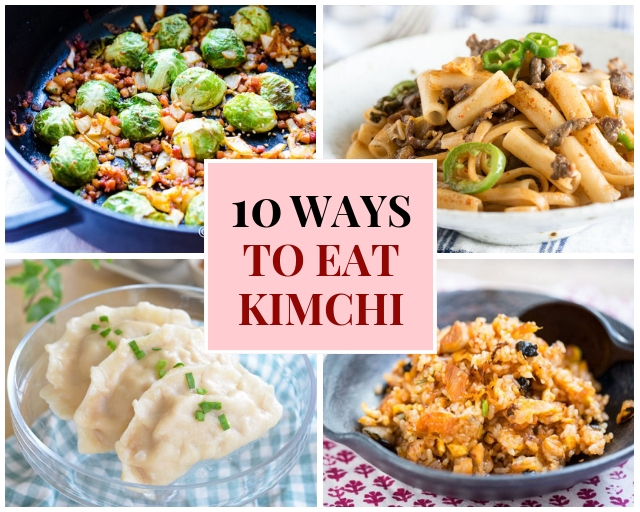 With these 10 easy recipes using kimchi, you can cook amazingly good food whether they are authentically Korean or Korean fusion. It’s best to use fully fermented, ripe sour kimchi for cooking. When the kimchi is fully fermented, taste is smoother and better for cooking. A ripe kimchi is slightly sour but has a zing to it that you just cannot taste in any other dish, which is a great thing when added to your cooking. Plus, it’s a great way to eat kimchi that is sour. Trust me, it becomes delicious again with a little cooking! When you feel Kimchi is too sour, add a bit of sugar to balance out the sourness when cooking with it. And if the Kimchi is really old (over couple months), you can also use the kimchi by rinsing everything in water first and then cooking with it. How to Ripen Kimchi properly can be found in my No Crazy Kimchi post. Keep this one-pan Kimchi Fried Rice recipe handy because it’s a convenient and easy way to eat kimchi. It calls for very simple ingredients and minimum cooking time to produce something satisfyingly substantial and delicious. 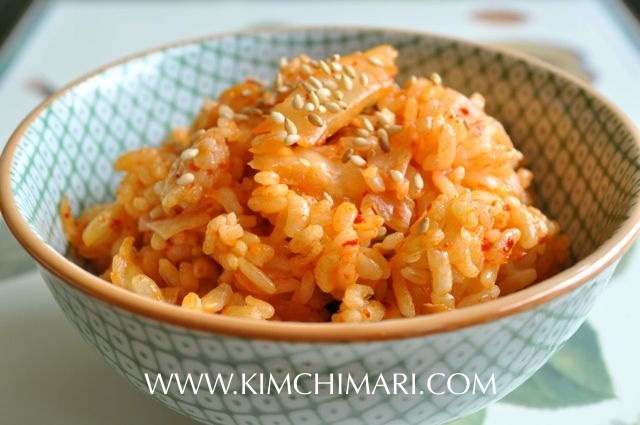 I’ve been making this kimchi fried rice since my college days! Korean Army Stew is my 2nd most favorite way to eat Kimchi. This hearty kimchi stew created after the Korean war with an American contribution: SPAM! Or you can see it as adding kimchi to SPAM… because kimchi makes everything taste better, right? Yes, even cheese, which is why this stew is also served with American or medium cheddar cheese slice on top. A tasty way to add some Korean flavor to your favorite vegetable dish is to cook it with some kimchi. 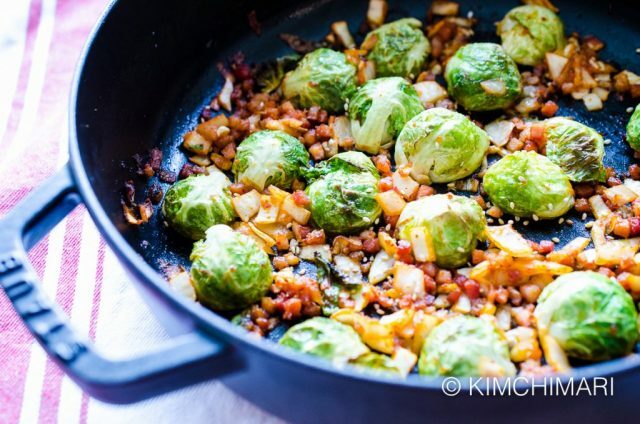 Like this amazing brussels sprouts, kimchi, and pancetta combination I made for our Thanksgiving dinner one year. Goes to show how versatile kimchi can be as an ingredient. 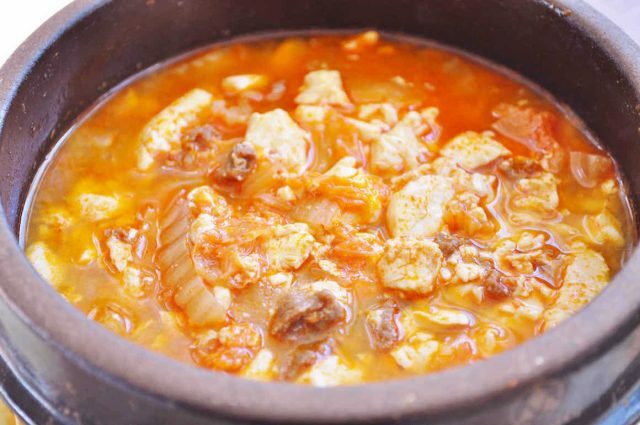 It is impossible to not love Kimchi Jjigae if you’re a fan of kimchi. This classic Korean stew is actually really easy to make. The best part is it uses old kimchi that may have become too sour to eat fresh but magically turns irresistible when stewed. This is Korean comfort food at its best! This Kimchi Pancake is my No. 5 way to eat Kimchi. This takes only 20 minutes to make. Koreans love to pair it with Makgeolli as a snack, and it would work just as well as a beer snack. 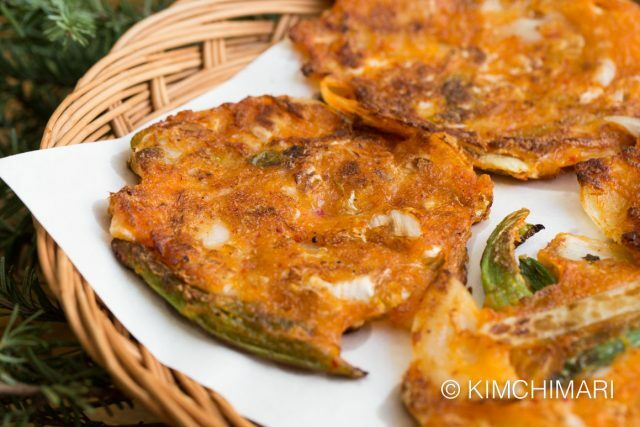 It’s a savory pancake with a uniquely delectable flavor, and you will appreciate kimchi in a whole new different way. 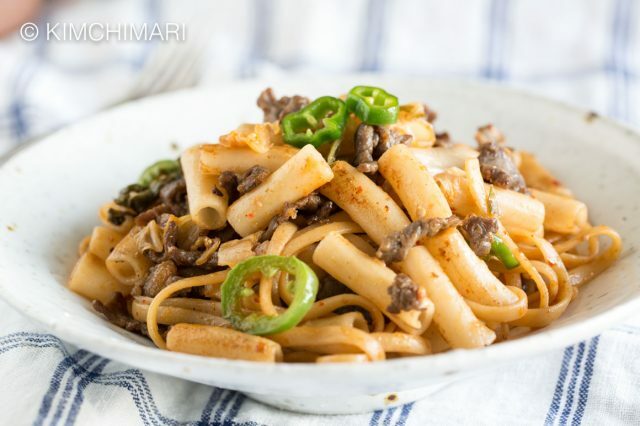 This one-dish Korean fusion Bulgogi Kimchi Pasta is the yummy answer for single cooks and busy moms. The bulgogi can be made ahead and kept frozen until needed. Then all you have to do is saute with some kimchi, add cooked pasta, and toss them together with some Jalapeno peppers. Kimchi Mandu is a North Korean-style dumpling served during special holidays. It is filled with pork, beef, kimchi, tofu, and bean sprouts, and can be made vegan by substituting the meat with shiitake mushrooms. 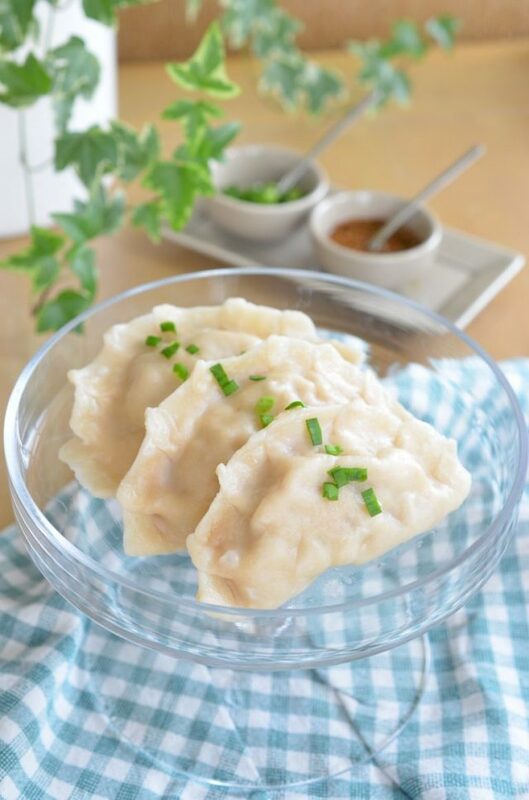 Make it a fun cooking project and invite your friends and even kids to make kimchi dumplings with you! You can make a big batch and keep it frozen until you need it. Here’s a lovely way to eat kimchi and jazz up white rice for kimchi lovers. 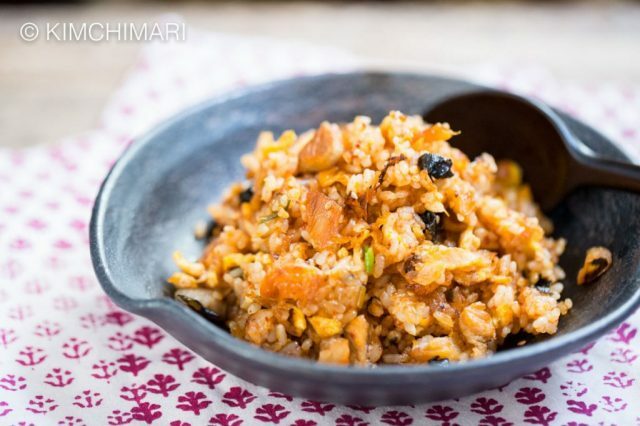 All you need is 5 ingredients–cooked rice, cabbage kimchi, sesame oil, sugar, and sesame seeds–and 5 minutes to make this side dish to go with your meal. No cooking required except for making the rice. Simple and delicious! 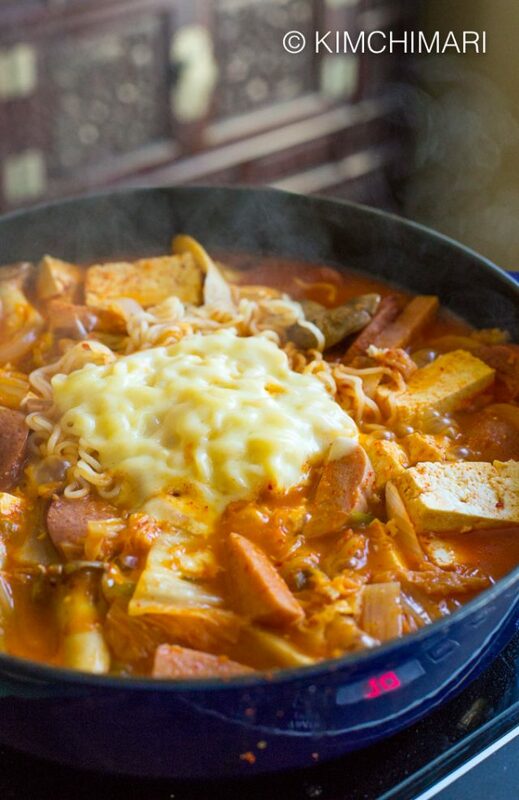 Spicy soft tofu stew is a Korean favorite that makes cold, wintry days better. Do you know what makes it better? Adding kimchi makes it explode with flavors! Serve this with some rice and you have a simple but comforting meal. Ready in 30 minutes or less. Amazing. Consider this a bonus recipe because you can easily turn one simple kimchi and pork belly recipe into 3 classic Korean recipes – Kimchi Jjigae, Kimchi Tofu and Kimchi Fried Rice. 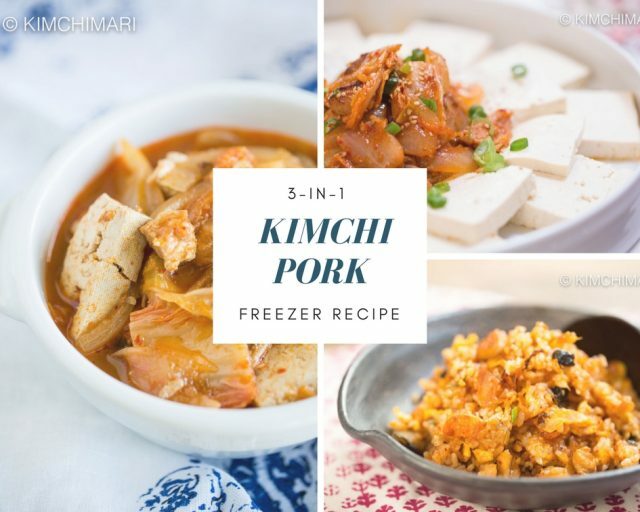 Just make my base pork belly and kimchi recipe, freeze it for later and then easily turn it into any one or more of the 3 recipes! Did you enjoy this kimchi series? 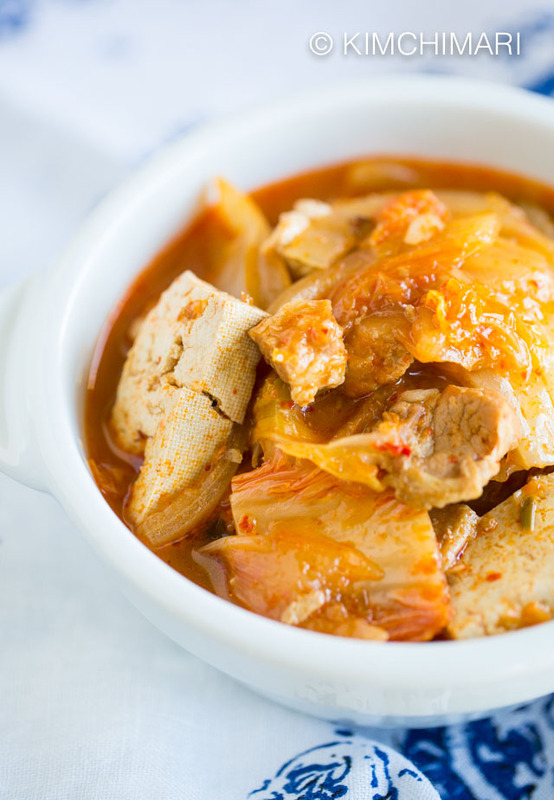 You’ve learned about the basics of Kimchi, Kimchi’s health benefits and how to make kimchi using different vegetables, and now you have 10+ recipes using kimchi to bring some Korean flavors into your cooking. Kimchi lovers unite! FOLLOW ME on FACEBOOK, PINTEREST, and INSTAGRAM to stay connected to me. I periodically share recipes throughout the year. You can also join my FACEBOOK GROUP where we share everything about Korean food including cooking tips with other Korean food enthusiasts just like you! !